Your company data deserves maximum security from a flexible backup solution. 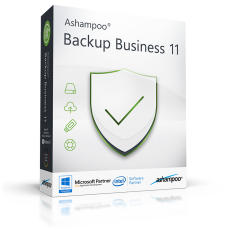 Ashampoo® Backup Business offers the full feature set for professional data backups. Whether you only need create local backups or store your sensitive data in the cloud - naturally with strong AES-256 encryption - the program has you covered. Single PC or network environment, Ashampoo® Backup Business has the tools you need. Administrators will love the command line support and the ability to run custom commands before and after backups. Even sleep mode is controllable for affected PCs. Your data, your existence may depend on the reliability of professional backup solution. This is why Ashampoo® Backup Business constantly checks and verifies the integrity of your data. And to prevent data theft, all backups will be protected with strong AES-256 encryption as used and recommended by the United States for classified documents. With cloud storage providers such as Dropbox or Google Drive you no longer depend on local storage media. Ashampoo® Backup Business provides extensive support for cloud backups. This includes not only files but entire disk images. All popular providers such as Dropbox, Google Drive or OneDrive are supported out of the box but the program is also compatible with any WebDAV-enabled cloud service. Ashampoo® Backup Business supports all common storage types such as hard disks, SSDs, flash or network drives. Thanks to Infinite Reverse Incremental Backup technology, local backups will take up 50% less disk space compared to competing products. Backup monitoring for PCs in your network poses no problem. Reports can be send through Ashampoo or in-house email servers with customizable levels of detail. Ashampoo® Backup Business allows you to create even complex backup plans. Once set up, backups will be created fully automatically. It makes no difference whether you opt for individual file backups or entire disk images, your backups will always be up to date. Thanks to versioning support, you can also preserve different file states. 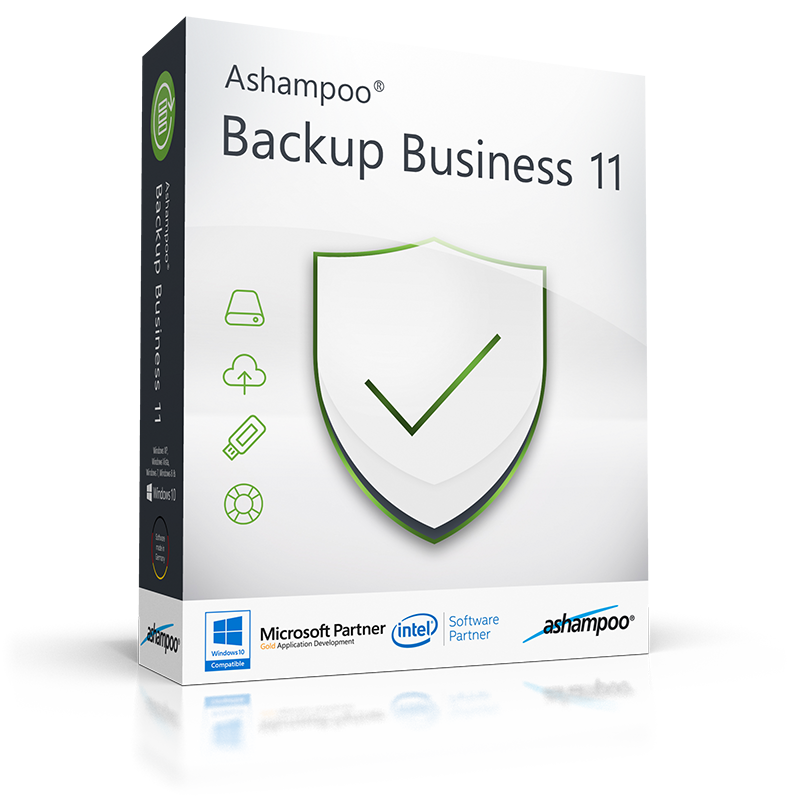 Ashampoo® Backup Business 11 is specially geared towards administrative use on Windows servers. It is fully compatible with all common Windows Server editions and brings the full Ashampoo® Backup Business feature set to these devices. Unlike with competing products, there are no functional restrictions or disabled features.